Ironman Timex GPS + One Smartwatch does not need to be connected to a smartphone and incorporates its own messaging app. The watch maker Timex Group has announced its entry into the market for accessories connected with a model adapted smartwatch lovers running. Ironman One GPS+ was developed with Qualcomm Connected Experiences, a subsidiary of Qualcomm, and AT & T. This model has its own wireless connection, unlike a smartphone connected to the connectivity features watches. It is available in the United States and Canada with a one-year subscription to the data service from AT & T mobile. Ironman One GPS+ has a touch screen of 1.5 inches with a resolution of 299 x 192 pixels which automatically illuminates the sun. It weighs 71 grams and has a diameter of 50 mm and a thickness of 15.7 mm. As its name suggests, the watch provides sports GPS tracking of their journey and can send its location to family or friends. Used as a music player, it has 4 GB to store a thousand pieces and has an integrated messaging app with SOS function that can send a predefined message in an emergency. Its rechargeable lithium-ion battery provides a battery life of 8 hours when using GPS and mobile features and 4:00 only if the user also listen to music while running. 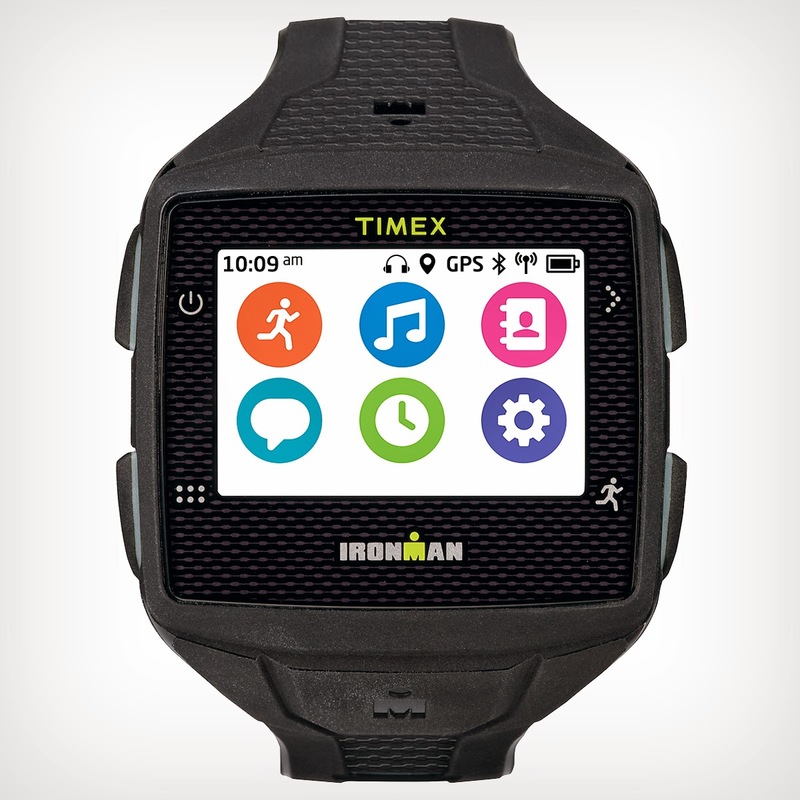 Timex has set the price at $ 399 excluding tax ( $ 450 excluding tax with a bluetooth device cardiac monitoring). Ironman One GPS+ is expected in November in the U.S market. It is water resistant to 50 meters.